Houston Press issue from December 9, 1963. Courtesy of the Houston Chronicle. Image available on the Internet and included in accordance with Title 17 U.S.C. Section 107. 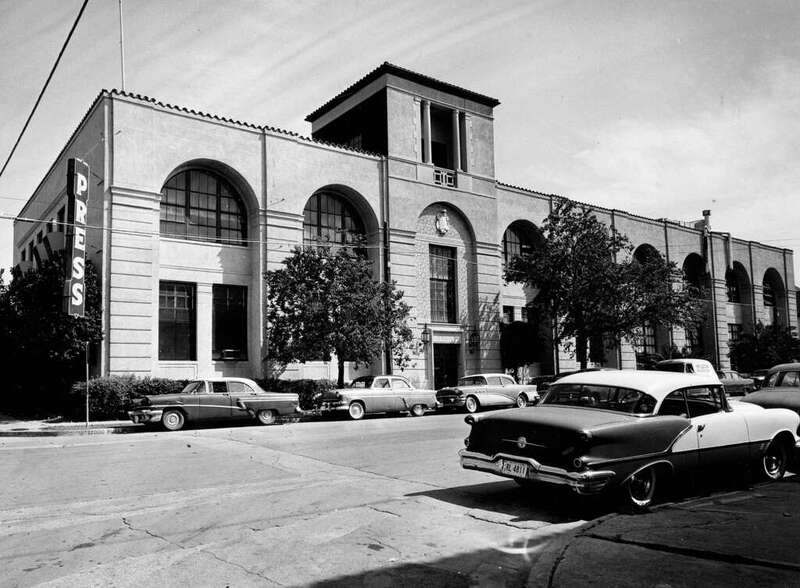 Houston Press Building at Rusk and Chartres, 1961. Courtesy of the Houston Chronicle. Image available on the Internet and included in accordance with Title 17 U.S.C. Section 107. HOUSTON PRESS. The Houston Press was founded on September 25, 1911, and until its demise on March 20, 1964, it was the most colorful of the three twentieth-century Houston daily newspapers. 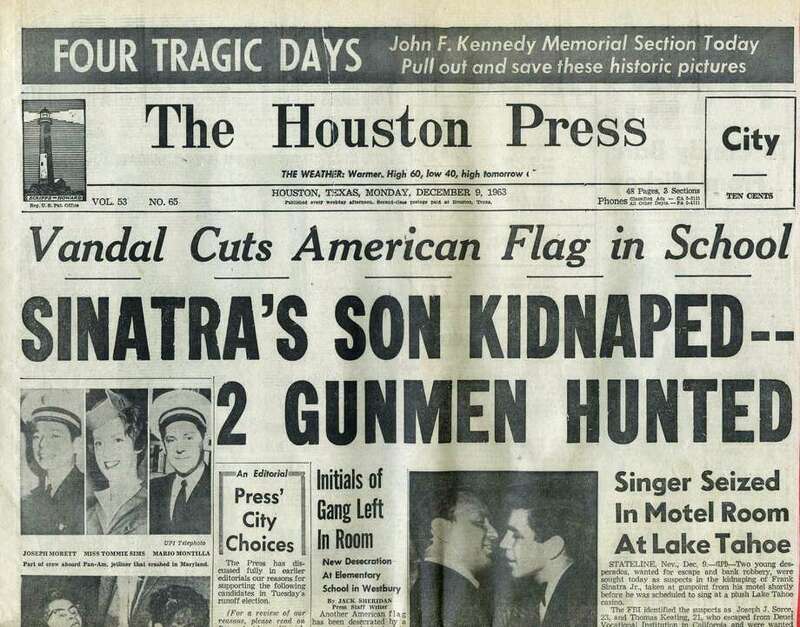 It was a Scripps-Howard newspaper and had a general reputation for exposing the seamier side of life in Houston and for keeping Houston politicians on their toes. The Press style of journalism was established by its first editor, Paul C. Edwards, and that style flourished under later editors Marcellus E. Foster, 1926–36, who had founded and edited the Houston Chronicle, and George Carmack, 1946–64. The Press began publication on the corner of Capital and Bagby streets; in 1927 it moved to Rusk and Chartres streets. In 1963 it averaged a daily circulation of 90,000 and employed over 300 persons; however, it operated at a loss during the early 1960s. On March 20, 1964, president and publisher Ray L. Powers and editor Carmack announced to the assembled newspaper staff that it was preparing the last issue of the Press. The newspaper had been sold by Scripps-Howard to the Houston Chronicle for a price estimated in excess of four million dollars. Houston Post, March 21, 22, 1964. George Fuermann, Houston: Land of the Big Rich (Garden City, New York: Doubleday, 1951). WPA Writers Program, Houston (Houston: Anson Jones, 1942). Handbook of Texas Online, "HOUSTON PRESS," accessed April 22, 2019, http://www.tshaonline.org/handbook/online/articles/eeh05.